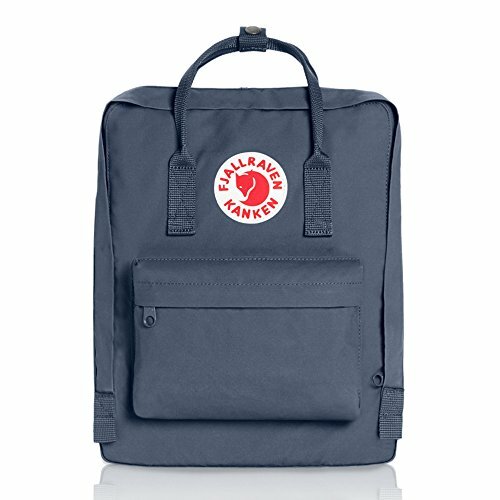 First introduced in 1978 - The Kanken backpack has become an iconic symbol of classic functional Swedish design. After engaging in the "back debates" of the late 1970's in Sweden, Fjallraven founder Ake Nordin developed a simple yet functional backpack with the help of The Swedish Guide and Scout Association. This revolutionary design now known as the Kanken evenly distributed the bag's weight to both shoulders which led to reduced back problems in Sweden. Not much has changed since 1978. We've added more colors and a few new models including mini and laptop versions. The Kanken is made of Vinylon F, a highly durable, abrasion and water resistant fabric that softens with age and washes and becomes increasingly robust as the fibers in the fabric tighten from use. Since 1960 Fjallraven has stayed true to its mission; developing timeless, functional and durable outdoor equipment while acting responsibly toward people, animals and the environment. Inspired by the outdoors, Fjallraven inspires others to get outside!